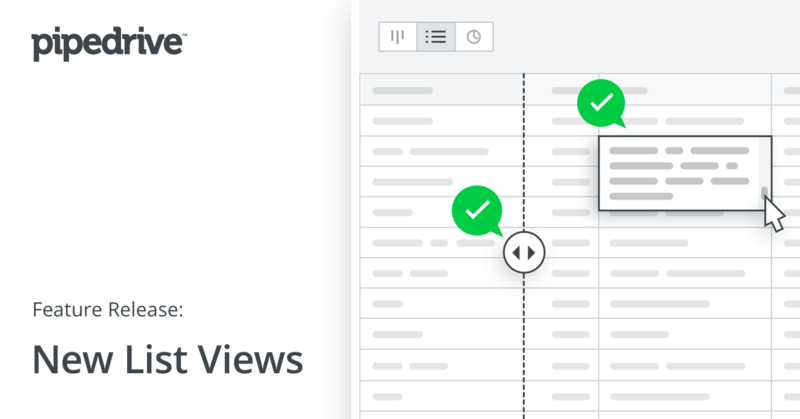 In our continued quest to make Pipedrive easier to use, we’ve improved our list views. We've had numerous reports from users related to slow rendering and loading speeds of lists. Some users have also experienced broken tables, weird row jumps, rows too long to fit the display area and more. So we set out to make a big impact on the performance of list views in this latest upgrade. 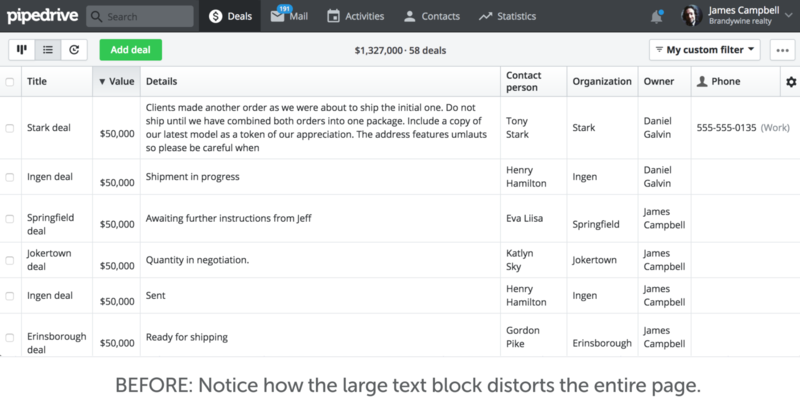 Here is what we’ve done to help you stay organized with your sales. Sorting of all columns - The columns can be individually custom sorted, giving you more control. Watch this great tutorial video for more detail on the list views and bulk editing. There’s no need to do anything on your part. We will roll out these changes to all users automatically over the next few days. We hope you’ll enjoy these enhancements as part of our commitment to making Pipedrive the simplest and easiest CRM platform.